The first snowfall of the spring season is forecast across Western New York later tonight. 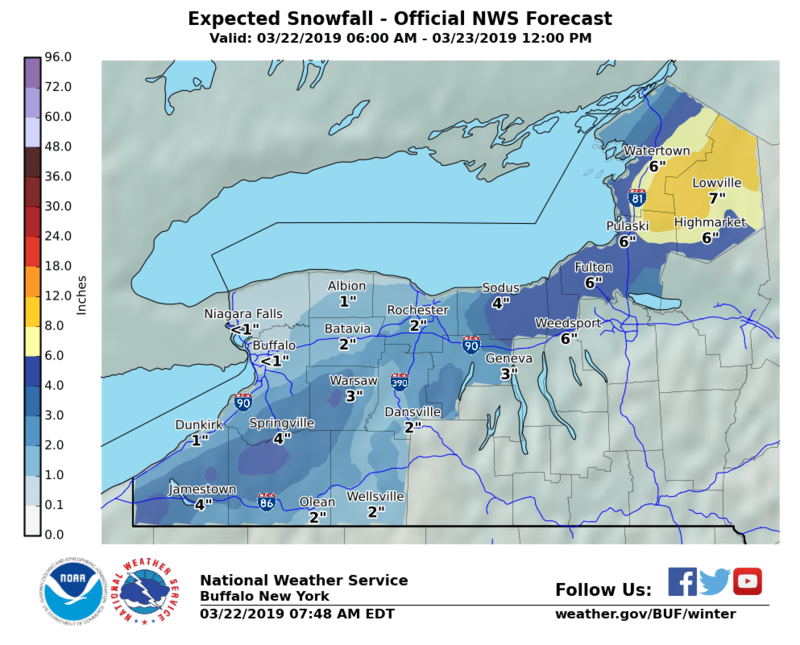 But, revised National Weather Service forecasts suggest the heaviest snows are expected south and east of metro Buffalo. 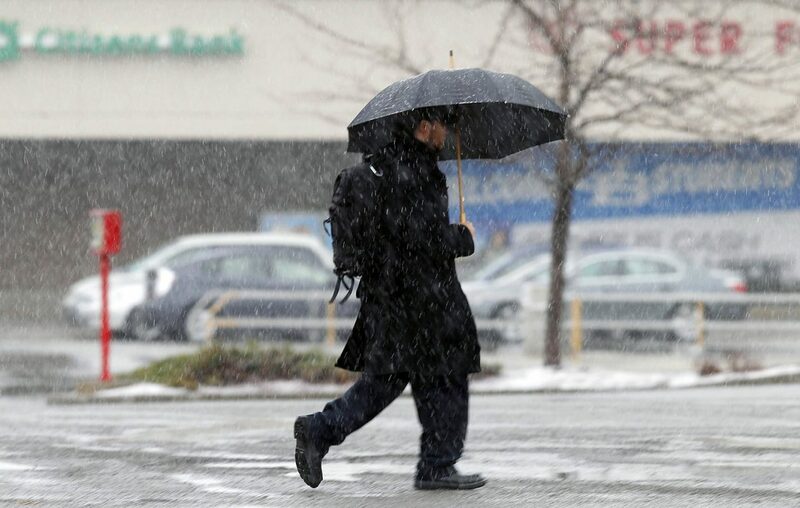 The complex storm system was expected to bring a round of rain showers to the region during the day on Friday, changing over to snow by the afternoon as temperatures drop from a daytime high near 36 degrees, the weather service said. "As this storm intensifies across New England, colder air will pour into our region and change the rain over to snow," the weather service said. "Snow amounts will vary, with the greatest amounts across higher terrain and east of Lake Ontario." Northwesterly winds are forecast to ramp up by the late morning and could gust over 30 mph by mid-afternoon. "Colder air moving into the area will bring the potential for accumulating snow Friday and Friday night. Several inches of snow will be possible over higher elevations," the weather service said. Snow is likely into the evening hours with decreasing chances overnight. Overnight lows are forecast in the low 20s in metro Buffalo. With a brisk northwesterly wind, it'll feel like it's in the single digits, weather service forecasts showed. "Snow will end from west to east Friday night and early Saturday morning when the storm system exits into eastern Canada," the weather service said. Central and Eastern New York State are expected to feel the impacts of the coastal storm. Winter storm warnings are posted in Syracuse, Oswego, Utica and Watertown. About an inch is forecast in metro Buffalo. As much as 4 inches of snow is expected in Springville, Batavia and Rochester. The weekend is shaping up to be sunny, but breezy and chilly on Saturday. Saturday's highs are expected in the mid to upper 30s with gusty west winds. Sunday is forecast to be mostly sunny with highs in the mid 40s.